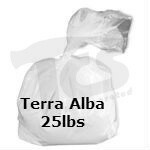 USG Terra Alba No. 1 is a dihydrate form of calcium sulfate produced by fine grinding and air-separating high-purity, white gypsum containing 20% water of crystallization. It releases combined water as it is heated above 50°C, releasing 75% of water as temperatures reach 180°C (only when temperatures exceed 400°C is water totally removed). 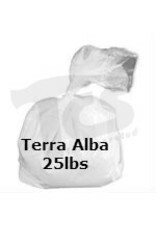 USG Terra Alba No. 1: Can be used as a flame-retarding filler when processed at room temperature Contributes to desired expansion, green strength and controlled set in specialty cement applications Is a relatively soft material (2-3 Mohs scale hardness) contributing to minimal wear on equipment.